Quebec has an agreement with the Canadian government on immigration. The province of Quebec posses its own rules of migration selection plan along with different conditions and methods, in order to select the immigrants with good adaptability to get Canada Quebec Skilled Worker Visa. Canada Quebec Skilled Worker Visa is a pathway to migrate to Quebec province of Canada. 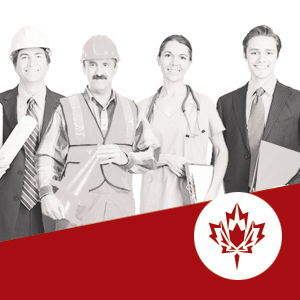 Through Quebec Skilled Workers Program candidates can apply for Canadian PR, on the basis of their skills, education, and capability of contributing to the economy of the state of Quebec. Similar to Federal Skilled Worker Visa, Quebec Skilled Worker program is another point to migrate to Canada. Quebec skilled worker visa for Canada gives unlimited access to the domestic job market even though the candidate doesn’t have any job offer or work permit in Canada. ​To apply for the Canada Quebec Skilled Worker Visa the candidate must initially apply for the Quebec Selection Certificate (CSQ) to the Quebec government and then apply to the Citizenship and Immigration Canada (CIC) for the for the Canada PR as basic Canada Quebec Skilled Worker Visa Requirements. The candidate must be familiar in French or English language and must prove that the candidate has a capability to support himself and his family in Quebec. To get selected for the Quebec Skilled Workers Program, non married or single person must score 55 including adaptability whereas, the married couple must score at least 63 points, upon the adaptability interview six more points may be rewarded. Selection process is based on employment offer, language proficiency education/training, children, experience, adaptability, spouse characteristics, financial self-sufficiency, age and family in Quebec. These are the basic Canada Quebec Skilled Worker Visa Requirements. 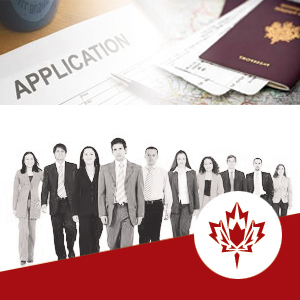 To apply for the Canada Quebec Skilled Worker Visa Application Process, the applicant must get the Quebec certificate of selection after that get the CIC application package which includes instruction guide and all required forms, then pay the required amount of Canada Quebec skilled worker visa application fee and submit the application.